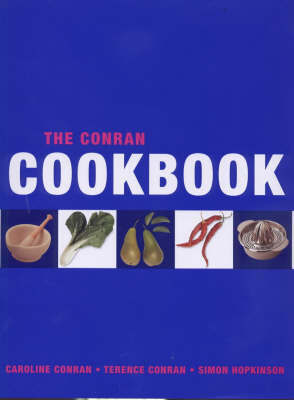 Taking you from the market place to the plate, the Conran Cookbook encompasses everything the home cook needs to know from the essential knowledge necessary to choose and prepare over 1000 ingredients, to equipping the kitchen, planning successful menus and cooking over 450 delicious meals. The best cooking depends on a sound knowledge of the raw materials, and the first half of the book is packed with meticulously researched and illustrated information about buying and preparing the vast range of ingredients available today. The second half of the book features over 450 fail-safe recipes that represent the essence of home cooking. These include old favorites such as steak and kidney pudding, salade nicoise and sherry trifle, along with those at the cutting edge of contemporary taste such as hot and sour shellfish broth and coconut and mandarin ice-cream. Finally, a comprehensive glossary of key terms and techniques provides valuable back-up knowledge, combining to make this the essential cookbook.